It can be tempting to blame your genes for any tooth decay that invades your mouth, especially if you brush regularly but still can’t avoid getting a cavity. Although it’s true that we inherit bacteria from our ancestors, it turns out these particular bugs don’t have much to do with dental cavities. Scientists know that a bacteria called Streptococcus is the main culprit behind tooth decay – but to what extent is this microbe fed by our diet and environment, instead of genetics? A new study shows that our diet and oral hygiene habits play a major role in shaping the health of our teeth, more so than our DNA. Researchers discovered that our oral microbiome (the bacteria living in our mouths) is largely influenced by the food we eat and dental hygiene. This is the first major study of its kind, published in Cell Host & Microbe and featuring authors from Australia’s Murdoch Children’s Research Institute. The study focused on children to measure how oral microbiome changes with age and twins were selected because they’re most likely to share an environment. To test the strength of genetic and environmental factors, 280 fraternal twins, 205 identical twins and one set of triplets provided samples using tooth plaque swabs. Tooth decay in children: what did researchers discover when they studied identical and non-identical twins? The findings show that consuming too much sugar reduces the amount of good bacteria that live on our teeth and gums. These vital microbes protect our mouths from tooth decay, so we need as many as we can get! Twins that consumed high amounts of sugar for the study had higher numbers of bad bacteria that’s linked to cavities and lower numbers of good bacteria that protect teeth and gums. The study also showed that inherited genetic bacteria dwindles as we get older, but the opposite is true for microbes that are connected to environmental factors (they increase). Next time your hand reaches for the chocolate jar, remember that cavity-forming bacteria in your mouth thrive when you consume too much sugar. If you can’t stop yourself from satisfying a craving, at least thoroughly clean your teeth and eat plenty of foods that populate your body with beneficial microbes. 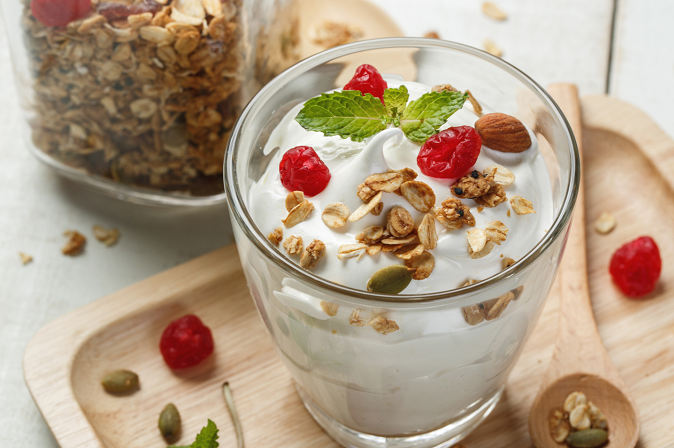 Foods that are rich in probiotics can promote good bacteria in your mouth, which helps to protect against tooth decay. Research is starting to show that strong gut health can work wonders for the ecosystem in your mouth, though this area is still developing. 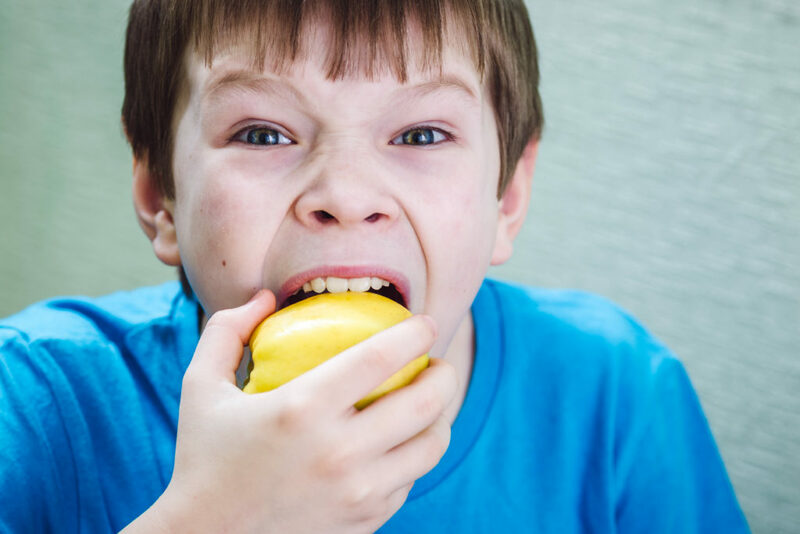 Keep in mind, if you’re consuming anything acidic, wait at least 30 minutes before brushing your teeth, since these acids can weaken your tooth enamel. Leafy greens such as kale and spinach – full of vitamins, folic acid and minerals (which build tooth enamel). Apples – high in fibre and water, which produces saliva to rinse away bacteria. Carrots – crunchy and full of fibre to stimulate saliva production. Celery – good source of vitamins, keeps bacteria away from your teeth. Almonds – good source of protein and calcium. It’s important to make regular trips to your dentist, so we can check your oral health and make sure you’re taking all the right steps to protect your smile. And remember, if you have a cavity, the sooner you get this treated, the better! Contact our team at Mona Vale Dental if you’d like to book a check-up.